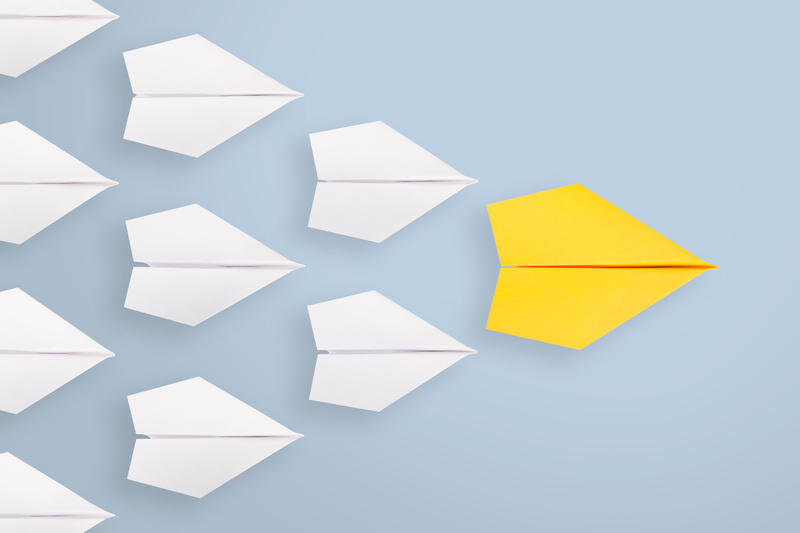 Image courtesy of unsplash.com A leader can be defined as a person or thing that leads. Therefore, anything or anyone can call him or herself a leader or be viewed as one. Anyone can say they have thousands or millions of followers backing them up. However, great leadership must be separated from popularity. Great leadership is not determined solely by how large your following count may or may not be. There are numerous leaders throughout history that may have had a mass following all the while they lacked the key components that make one great: growth mindset, empathy, effective communication, the ability to take 100% accountability for words and actions, and a strong sense of purpose. In the workplace, schools, homes, and greater global platforms history has supported these five key characteristics to play a major role in contributing to great leadership. These characteristics stem from having a strong sense of self, growth, and service. To effectively lead you must be aware that change is one thing that is constant. Great leaders understand that having a growth mindset is necessary to support yourself and your team in the efforts to develop, overcome, and achieve. A primary goal in life is to evolve, and with evolving comes changes in direction, criticism, obstacles, and the ability to handle it all in a way that aligns with your values. Being able to move from a fixed to a growth mindset leads to increased motivation, finding solutions, and viewing challenges as an opportunity for progression. Companies that lead with growth create a culture that has endless potential. When one does not understand the feelings, thoughts, and experiences of another, that leads to a major disconnect within the leader and the rest of the team. Although some may believe detachment is necessary, truly great leaders understand the value of balancing empathy and logic.If you fail to acknowledge the painful truths that people on your team experience, you most likely wouldn’t act upon creating changes that support them and the overall environment. A great leader recognizes that just because they may not have experienced what another has, they cannot discredit the truths of their fellow teammates. All truths are valid. Being able to listen, understand, and work with colleagues for the betterment of not only them but also a company at large is crucial. Understanding the frustrations and concerns of those on your team allows for a chance to build a healthy environment shaped with strong connections, respect, and engagement. Having the ability to communicate effectively is a highly important strength of a great leader. Being able to communicate in a way that gets your message and point across clearly allows for enhanced relationships and understanding. There are several components an effective communicator has mastered: body language, eye contact, tone, and feedback. To communicate effectively you must understand that communication is more than just words. It’s an art that ties in nonverbal cues all the while balancing components like open-mindedness, feedback, and clarity. A disconnect in communication leads to detachments in relationships, efforts, productivity, and overall team performance. Effective communication should allow for both parties to interact in a way where they both feel heard, understood, and respected. You are responsible for the thoughts you think and actions you take. Great leaders take 100% accountability for themselves and their people. You will never see finger pointing or the blame game occurring among great leaders because they take full accountability for both their rights and wrongs. Great leaders own up to their performance and even welcome feedback. Because they have a growth mindset, they accept where they are but always leave room for growth, learning, and improvement. When something goes wrong, they take accountability and handle the constructive criticism they may receive. Excuses, manipulation, the need to be right, and complaining will be attributes that separate any old leader from a truly great leader. A great leader does not let the negative opinions or feedback from others diminish their own voice. They accept, respond appropriately, take the lesson, and move forward. Great leaders stand for something. They are on a mission that is filled with purpose. Great leaders have connected to that inner power of alignment between the mind, heart, and working for the betterment of others. They are some of the greatest contributors that bring meaning to life through striving to do something beyond the self. Because of their strong sense of purpose, great leaders break barriers and go beyond the limitations that once may have been set. Purpose tends to fuel passion and ambition. Great leaders have this contagious energy and drive that proves that you too can accomplish the unthinkable. Their energy and passion for the work they do and the way they live empowers others. Great leaders are change agents that better the world through their sense of purpose and giving their attention and energy to things that align with their values and beliefs.